The transmission is the most difficult engine component to repair. Even the most experienced amateurs and do-it-yourselfers will pass along transmission service and repairs. Todd’s Automotive is your local expert for any of your transmission service needs. As soon as you notice any performance problem, just bring it directly to us or set up an appointment. We make transmission problems go away for good. Your vehicle’s transmission problems usually start slow and get worse over time from lack of attention. Our ASE Certified technicians are experts and making sure your transmission operates safely and at peak performance. We’re here to make sure you get the best overall performance from your vehicle. Now that you know the transmission experts at Todd’s Automotive, you’ll never have to suffer through gear slippage, rough shifting, slow acceleration, or poor response time again. Keep us on standby for any auto repair services, especially complicated transmission repair services. The complete transmission repair services you find at Todd’s Automotive will eliminate all of your concerns about your transmission’s performance. If you’re noticing any strange smells, abnormal knocking sounds, or inability to shift/accelerate, bring your transmission issues to us first. Many owners will end up spending too much money on transmission services because of a misdiagnosis. We save you time, money, and stress by providing accurate diagnoses and correct transmission services. Our experts are to perform any transmission rebuilds/replacements, transmission cooler installations, fluid flushes, and more. We also want to make sure all Lake Oswego drivers are receiving competent transmission services. Come to us for second or third opinions before any costly and unnecessary transmission repair. We’ve been specializing in both automatic and manual transmission repair services for a long time. Nothing about your transmission’s performance will get past us. We can promise complete and total correction with our guaranteed transmission repairs–3 Years / 36,000 Mile Warranty! Transmission services shouldn’t wait any longer than they have. Especially if you know the experts at Todd’s Automotive—the perfect transmission repair shop in Lake Oswego, OR. Don’t know us yet? Well, today’s the day! Get your vehicle’s transmission issues take care of permanently. Give us a call today to schedule your transmission repair service. We strive to earn your trust with every service we provide. 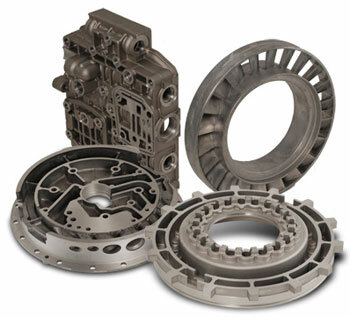 You can add complete transmission repair service to our list of services. For your convenience, you can go ahead and schedule your appointment right now using our online scheduling system. Anytime you’re in the area, feel free to stop by with your questions, concerns, maintenance or repair needs.